Much attention has been on Singapore’s greying population and it will likely remain as a perennial national challenge for the many years to come. I read that according to the United Nations, population ageing will be most significant in Asia. By year 2050, 1.2 billion people in Asia will be 60 years and above- four times the number today. With our higher life expectancy, Singapore counts as one of the fastest ageing countries in the world. Today, one in 12 Singaporeans are 65 and above. By the year 2030, that would increase to one in five of us being 65 and above. Anticipating the ageing issues that will arise, our government has made substantial efforts to address these issues such as the recent organising of the SICEX 2008 Exhibition that was held at the Suntec Convention Hall last two weeks ago. The Ministerial Committee on Ageing (MCA) led by Mr Lim Boon Heng from the Prime Minister’s Office have been kept busy since last March by providing more care and concern for our ageing society. This has come in forms in advocating employment for older workers to annuities for old age and the tweaking of Eldershield and the CPF. When explaining the reason behind the key changes of the CPF scheme, PM Lee cited how the government was concern for Singaporeans’ financial sustainability especially with the rise of life expectancy at 80 years old now. From a glance, it looks like we do have a government that truly cares for their people with their plans to secure retirement for the ageing population. However, if we scratch the surface deeper, we might find another probable reason for this. It is a well-known fact that Singapore being deprived out of all other natural resources have only our human resource to tap on. That is why the role of education in Singapore is emphasised and is one of our nation’s core foundation. This is also further explains and helps us understand on our government’s stance on certain policies or leadership approaches. For instance, we pride ourselves for providing WORKfare and not WELfare. In Singapore, there is no “free lunch” and all of us are expected to work. If you want welfare, you got to work and contribute to CPF to receive incentives. That is our workfare. 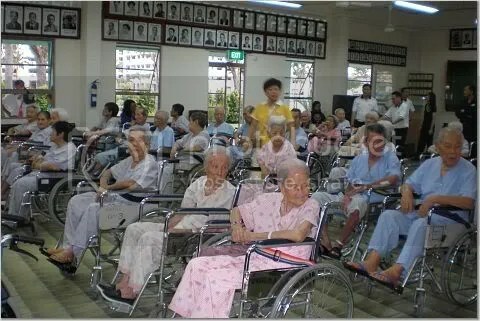 Imagine when 500,000 Singaporeans retire at age 65 by 2010 out of 4-5 million as according to statistics. And couple that with the higher life expectancy and the need of healthcare. Would the retirees have enough to survive? Where would they get the money to survive if their savings are wiped out? Would there be a sufficient workforce to sustain economic investments? I believe some of these questions would have been our government’s primary concerns. And with the rapid growth of the ageing population, there is an urgent need to find solutions in keeping our economy going. Not only does a retiree represents un-productivity, he/she also represents in economic terms, a liability. Simply because by not working, one no longer contributes to the CPF. Not only does he/she not give, but he/she is taking. Not mentioning that our economy being so dependent on consumer spending in bolstering it afloat would likely experience a big dip with retirees having less spending power. So if a retiree runs out of money, where does he/she go? If you don’t believe, you only have to look at our present situation with the rising cases of the poor and needy seeking financial assistance from our government at the Meet-The-People sessions. Therefore, with the number of retirees expected in the years to come, that poses as a huge “liability” to our government. And this better explains the initiatives and measures for securing our retirement, welcoming of foreign workers to fill in those “gaps” and the recent means testing for healthcare. Not sure if you agree with me, but all these care, concern and efforts, it seems are inclined more towards the sustainability of the economy, and not exactly for us. Looking hard below the surface, I am faced with the hard truth that I am regarded nothing more than a mere number that contributes to my country’s population statistics. But to be fair, I do applaud the government in carrying out a fine job in ensuring that our limited human resource in Singapore is fully utilised to his/her potential in contributing productivity to our nation’s workforce. Putting myself in their shoes, this could be a bo bian (no choice in Hokkien) kind of situation. However, as a working 30 year old Singaporean, my concern are the rising cost of living which would shrink the value of my CPF retirement nest in 30 years time. Another concern is the affordability of healthcare as by that retiring age, healthcare would be a necessity for me to keep working in order to stay alive. Against such a bleak bo bian backdrop, it is apparent that as a Singapore citizen, I will have to work till I die. bro, you do have a choice, either migrate to other countries like Australia or America which provide generous social welfare & benefits & pay taxes of 30-40% every month or stay & be satisfied with the lower tax rates in Asean but work till “mati”. You cant have the best of both worlds, can you? Most of the guys replied for this blog are replied because “they have to say something” rather “they have something to say”. Think in such a way that you will be in a graying population group few years from now. You will be a liability for both family and government, if you could not find a way now to overcome that. Good job Andrew. Good article, I found yours on accident. I just thought I would let you know that you can make money now for your articles. At SayItAloud you can post your articles like you already do, but you can get better exposure and make some decent money in the process when companies sponsor your article. I bookmarked your page and I look forward to your future articles.%d%a%d%aYou can check out our site by clicking on my name. we cannot prevent ourselves from growing old, it is just the way of life..